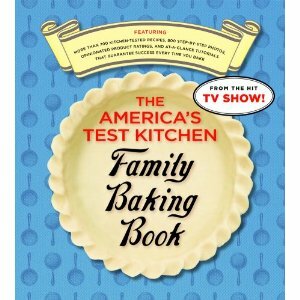 "Oh, I'd love The America's Test Kitchen Family Baking Book. I actually have a similar one checked out from the library and would love to own this one. They do an amazing job of researching the best recipes and their recipes are the top!" Enjoy your new cookbook Lisa! Email me and I will get your cookbook sent out to you right away so you can start using it. And thanks again to Snubbr for sponsoring this giveaway. Oh, Yippee! Thank you so much! I so look forward to making some great things with this book!